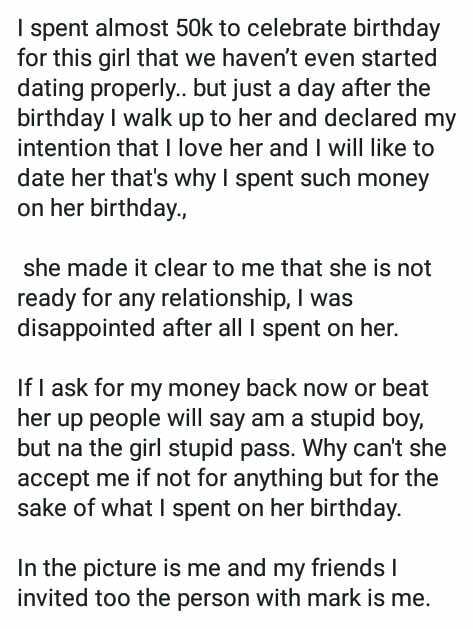 A young Nigerian man has taken to Facebook to lament after spending N50,000 to celebrate a girl’s birthday only for her to make it clear that she is not ready for any relationship. There’s this girl living in my street she came to me and told me that she is doing her birthday, she said she will like me to be there I said okay I will come. 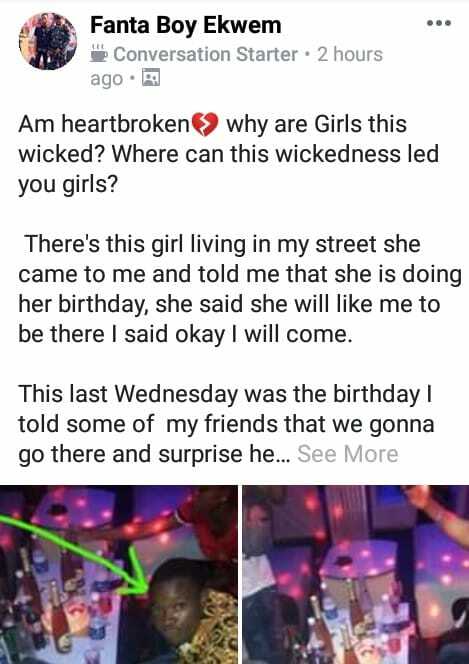 This last Wednesday was the birthday I told some of my friends that we gonna go there and surprise her so we got there at a hotel in Lagos island(De Heavens hotel). she made it clear to me that she is not ready for any relationship, I was disappointed after all I spent on her. 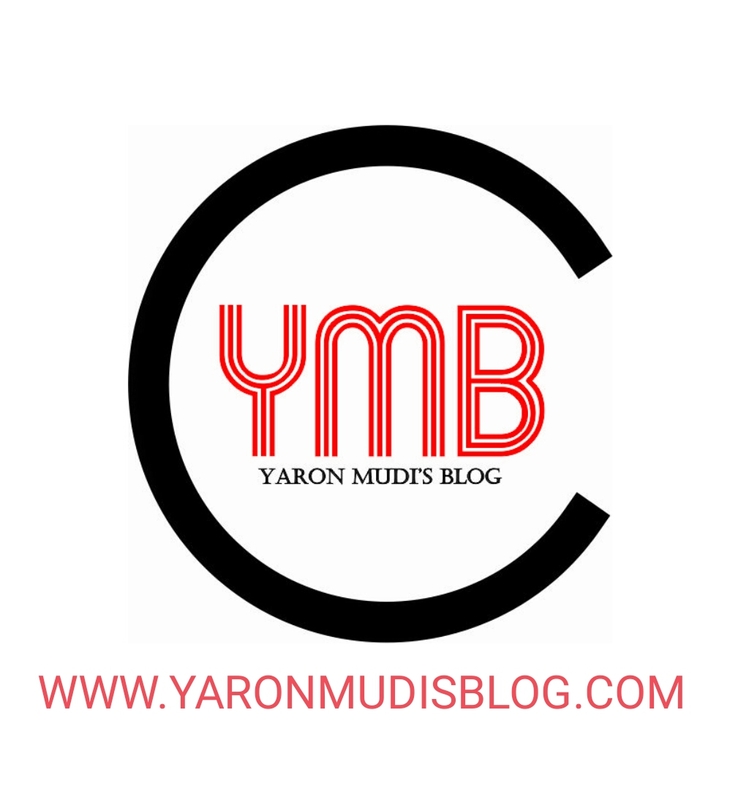 If I ask for my money back now or beat her up people will say am a stupid boy, but na the girl stupid pass. Why can’t she accept me if not for anything but for the sake of what I spent on her birthday. In the picture is me and my friends I invited too. The person with mark is me.